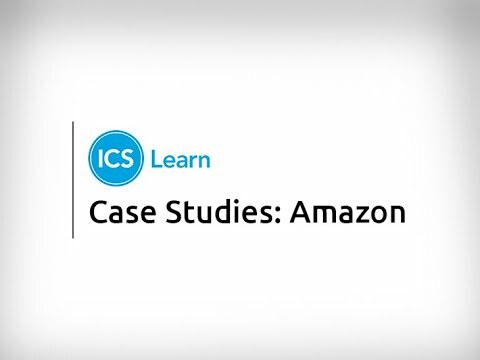 We met with three Amazonians to learn how online professional training with ICS Learn is helping them develop their skills, enhance their knowledge, and shape learning around their busy working lives. These learners are using our prestigious online CIPD qualifications to improve their confidence in their current role while taking on new responsibilities. All three would recommend our qualifications - find out why in their testimonials below. I am studying the CIPD Level 3 Human Resources Diploma. I work in operations and I am also an instructor and coach in my process. I chose to study with ICS Learn because my company is funding my course and as well because I can study online. This is very helpful for me because it gives me freedom to choose a time when I want to study. I have the comfort of studying in my own house and I don’t have to travel to school. Because I’m also working full-time, it’s important that I save that time by studying online. I chose to study this field because I’m very passionate about working with people. I like to help people to solve their problems; to help them improve and grow. I take my knowledge from the human resources course and I put it into what I do in my work. For example, when training people - I’ve learned about the different type of learners and the learning cycle. I think this benefits the entire organisation and the new hires that I train. The tutors are very friendly and approachable; whenever I have a question I can talk to them online. I would definitely recommend ICS Learn. I chose to study with ICS Learn because it fits in well with my work pattern. I’m working full-time so I don’t have the time to go to physical classes to study. I work 40 hours, Monday to Friday, so I can't take time out of my work to go to classes physically. It really fits in for me to choose when I want to work and ICS Learn also provided the HR course at Level 5, which is what I really wanted to do. Being able to choose when I work is really important as I can choose to do more of my course when I’m less busy. I had already studied the CIPD Level 3 because I wanted to get into HR. Previously I wasn’t working in it and I needed a way to really start my career. Then I moved onto Level 5 once I had started my career in HR so I was able to progress to the next level, which actually helped me get a promotion into my current role. It helped me to get my promotion because I had more knowledge about things like resourcing talent, recruitment and employment law. Whenever I have a question about anything, in terms of structuring my reports, content, I can contact my tutor and I know she’ll get back to me really quickly. I found her to be friendly and helpful with everything. I feel like it’s helped me a lot within my role as it’s given me greater in-depth knowledge and also more confidence. My report writing and presentation skills have improved too, as I had to do presentations as part of my Level 3. I think it’s helped the organisation that I work for as they know I’ve got the qualifications and the knowledge to be confident within my role and help our employees in the HR role. I use the CIPD website often to access articles and news because there are a lot of updates about new things happening within HR and employment law and I want to keep up to date with that. I use it to reference occasionally and I find there’s a lot of information on there that I can use. I would recommend ICS Learn as I find it a really flexible way to learn alongside your job with so many resources and opportunities available. My employer is funding my course and that’s really been useful to me to financially support my studies. It’s really good that my company is helping me fund my course, as it means I can go with my preferred learning provider which is ICS Learn. I had done a lot of research as I’d known for a long time which course I wanted to do. I had a look at a lot of the different providers and someone actually mentioned ICS Learn so I looked into them. It stood out and looked like ICS Learn had a lot more to offer than some of the other providers in terms of flexibility. I’ve got very limited time between my family and working nights so this was perfect for the free time that I had. I chose to study online because it fits round my personal life perfectly, the balance between work and personal life was just right for what I need. I’ve got a passion for learning and development; it’s my job and I love training people and seeing them progress, so a Level 5 Diploma was a natural choice for my studies. The ICS Learn advisors talked me through the course, I’ve been in learning for about six years and they said that background would make Level 5 perfect for me. The tutor support with ICS Learn is very good; they’re very prompt, professional and knowledgeable. If I’ve got anything that I’m a little bit unsure of, the tutors are always there. My L&D qualification is helping me in my role as it’s giving me more knowledge about L&D and different aspects of learning and styles. It’s helping me become a better trainer and helps me write better training programmes too. The qualification is helping the business as it’s all about continuous improvement: the better I get the better it is for business. The people we’re bringing in are getting better training because of it. The CIPD award is benefiting my future career because it’s world recognised, so I could go anywhere in the world with the qualification and work in the job. I would definitely recommend ICS Learn to my friends and colleagues. It’s so easy and affordable to learn with them. It’s really good that my employer recognise ICS Learn as one of the top training providers for CIPD so it allows me to use a work voucher in my training. Find out more about developing your staff through our online professional courses. Request your guide to upskilling your staff with flexible, industry-standard qualifications in HR, finance & more.